tl;dr: Marketplace lenders are suffering from reduced investor interest, but it’s not clear why. The recent turmoil of alleged fraud at Lending Club has brought the marketplace lending sector under increased scrutiny. Ousted LendingClub CEO Renaud Laplanche’s apparent misconduct has caused concern among investors in the public markets and on the platform itself. This time last year, Lending Club’s stock was bouncing around $14. Today, it’s in the low-to-mid $4 range. Corkery attributes the slowdown to a surge in investor anxiety, despite low default rates on most marketplace lending platforms. If this indeed represents the mindset of the majority of investors, it demonstrates the curious double-exposure that afflicts startups in this space. Marketplace lenders must first appeal to investors in order to raise capital, boosting and sustaining their own valuation. Then they must court investors again, this time to use their platform. While there may not be substantial overlap between venture capitalists and public market investors, both groups are certainly reading the same publications and tracking the same economic trends. The advantage that a platform like Lending Club offers, compared to banks, is a low barrier to entry and the potential for lower rates (although rates are on the rise). For example, let’s say you have credit card debt, and you want to pay it off. You can apply online for a loan from Lending Club or a similar company within minutes. If you’re accepted, you can use the capital to pay off your credit card bills and thereby replace high-interest credit card debt with a low-hassle, lower-interest monthly payment to Lending Club. As Levine mentions in a footnote, Lending Club is able to move some loans off of its balance sheet by selling them to large institutions, but the former arrangement is more common. 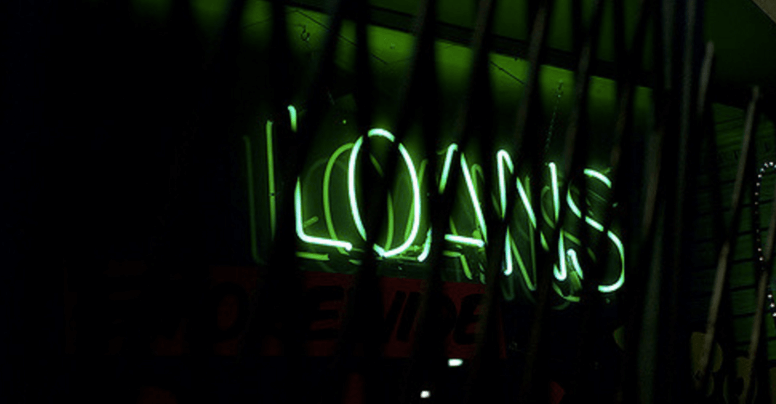 It is somewhat analogous to the creation of financial products based on subprime car loans, although the quality of the underlying loans hasn’t been disputed. Stock market investors who finance the companies in the first place, both on the private and public markets. Venture capitalists fall into this bucket. The marketplace lenders themselves—Lending Club, Avant, Prosper, etc. Borrowers (regular people looking for easier or cheaper access to capital). Banks, which actually issue the loans (in a legal sense). Lenders looking for a higher yield, ranging from folks off the street to institutional players. Investment firms, also in search of a higher yield, who buy packaged financial instruments from the marketplace lenders. Platforms like Lending Club facilitate and abstract the interactions between all of these players. Intuitively it seems like the business model—connecting people who want to borrow with people who want to lend, and taking a cut in the middle—should still be sound. There are risk-management complications, of course, but nothing obvious is wrong with the basic idea. And yet there’s a demand problem: Is the secondary market for these loans robust enough to support Lending Club and its peers? I contacted marketplace lenders for comment concerning this article, a largely futile effort. Of the eleven such companies contacted, only three responded. Ultimately, Groundfloor was the only marketplace lending platform that shared any data, and it is an atypical platform in that it excludes institutional capital altogether. Mattermark data from the past six months shows that most of the various companies in the marketplace lending space are still growing headcount. The highest rate of growth came from Peerform, at 185%, and twelve companies out of the 120 listed were growing headcount at a 50% rate or higher. The highest absolute growth came from China’s CreditEase, which added more than 1,000 employees in the last six months. Another unknown is what may happen if, or when, the Fed decides to raise interest rates. Would the increase in borrowing costs provoke a corresponding increase in defaults? Would Wall Street be prompted to allocate capital radically differently, further cratering the demand for marketplace lenders’ securities? Early-stage marketplace lenders may struggle to raise subsequent rounds, but they are less likely to undergo the painful process of being demoted from a unicorn to a regular ol’ horse. Featured Image via Flickr user Liji Jinaraj under CC BY 2.0. Image has been cropped.